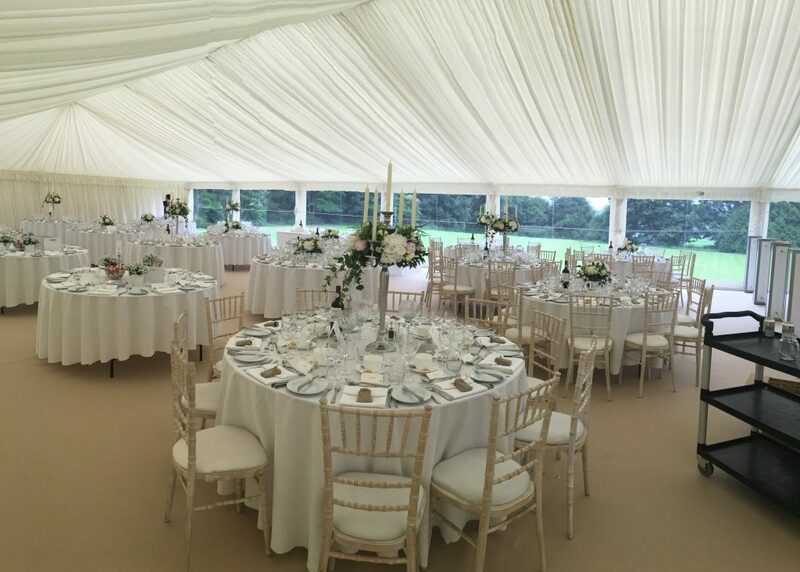 A couple of weeks ago we were delighted to organise and cater for a beautiful wedding in a marquee within the grounds of Leigh Court in Bristol. Leigh Court is a wedding venue in its own right on the outskirts of Bristol, however due to a large wedding party the bride and groom decided on a marquee within the grounds of Leigh Court, as well as using some of the building itself. 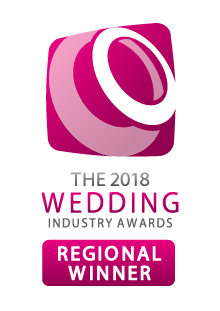 We interviewed Lucy Edgington, our key accounts manager for Leigh Court and event manager on the day of the wedding, to find out all about it. This wedding was for a young couple with two very large families, so lots of guests to invite! With the bride being Swedish and the groom English it became apparent from the off that the wedding would incorporate every aspect of both English and Swedish wedding traditions. The groom was also the owner of a butchers and it was therefore important to him that his meat was a feature part of the wedding. They happy couple, as with every couple who are getting married, had very high expectations and wanted every detail to be covered, to ensure that their day was just perfect. What did you do in the lead up to the event? Did you help the client with planning and ideas? 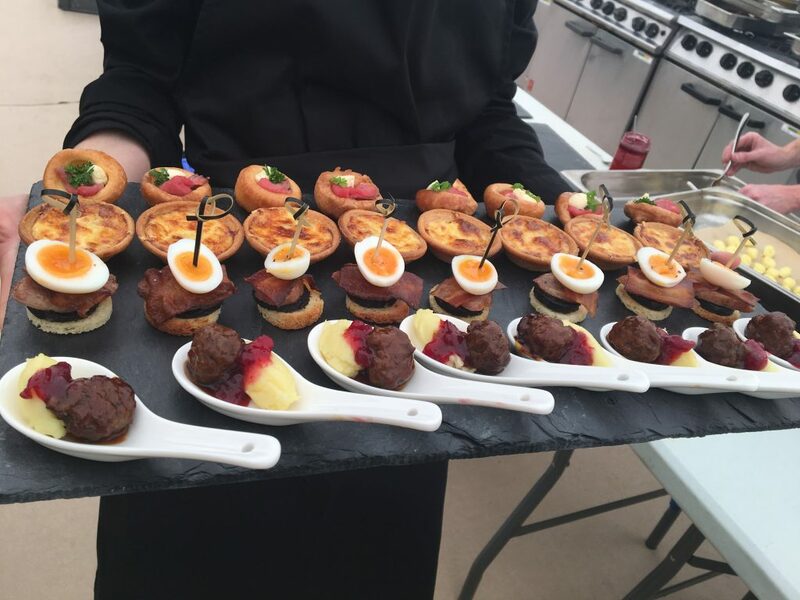 With the event being held between Leigh Court, a large manor house, and a marquee on its grounds, there was a lot of organisation to be done in the months running up to the event and on the day itself. There was a total of 180 guests during the day and 300 in the evening so working out the logistics of where was best to house each part of their day was slightly tricky. Leigh Court has seven different function rooms, all with their own unique decor, which the bride and groom wanted to utilise as much as possible. Through careful planning and many conversations and walks around the venue we came up with a structure for the day. The guests would start in the manor house for the ceremony with some guests watching from the upper balcony as the bride walked down the large sweeping staircase to meet her groom and the rest of her guests at the bottom ready to walk the final length of the aisle together. They then moved through to the Library for drinks and canapes, which flowed out onto the terrace and grounds. Following this, they entered back through the house and wandered the bay tree lined walkway through the house to the entrance of the marquee which had been built up to the level of the house so that, in the result of wet weather (although they were very lucky and it was a lovely day) the guests could walk straight from the house into the marquee. Then came the tricky bit. With us English liking structure at a wedding and the Swedish having a much more relaxed approach to the wedding breakfast it took a bit of talking to the families to come to an agreement on how this part would run. One of my favourite Swedish hints during the day was that the bride and groom had two chairs sat in front of them throughout the wedding breakfast so instead of them having to get up to see guests, guests could come to them for a chat on the chairs. True to their word the seats were never empty and the bride and groom could sit and enjoy their meal as well as being able to catch up with all their guests. We had also said that the wedding party would do the 'English speeches' just after main course and following this it would be free rain during dessert service for the 'Swedish speeches' which are very unlike the English in that there is no structure and any guest can just stand up whenever they want to say something about the bride and groom (they also contain games and audience participation - so lots of fun!). All of these details and traditions made for a unique and fun occasion. With weddings like this there is always a lot of work that goes on behind the scenes in order to ensure a smooth and stress free day for the couple. 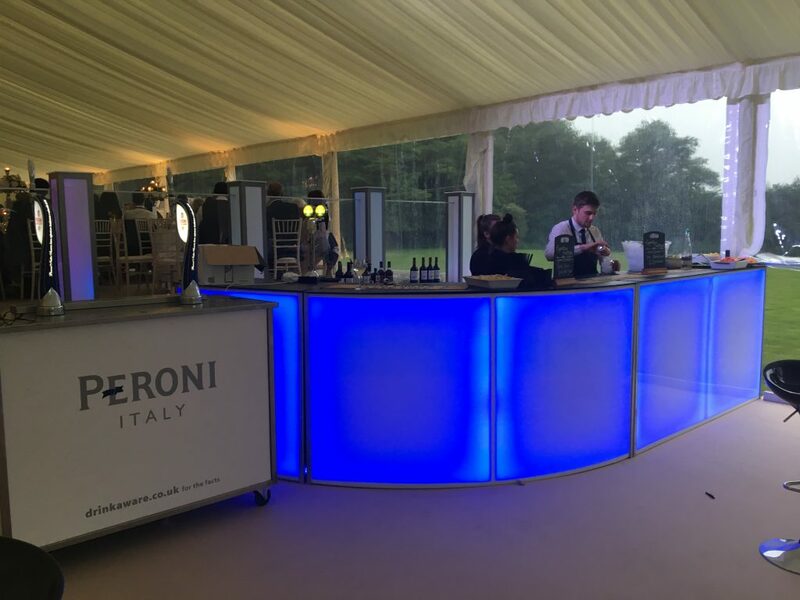 This includes liaising with other suppliers like the marquee company, we also set up a temporary bar within the marquee which meant liaising with brewers to set up bar pumps within the marquee. Venison Meatballs, mash potato & lingonberry . The day was absolutely amazing. Such a stunning wedding with the most amazing couple. They were both so happy and I really felt like they got everything they wanted and more from their special day. The marquee and venue both looked amazing and fitted perfectly together. The marquee didn't look out of place and the guests could flow smoothly and easily between the marquee and the house. The guests partied all night and by 1am when the music was turned off and the bar closed down every guest left with the biggest smile on their face and the Bride and Groom couldn't have been happier! What ideas and tips can either brides take away from this wedding? My tips to future bride and grooms following this wedding would be to stay true to yourselves. There are always a lot of family and friends who will have big ideas as to how your day should be but remember; it is YOUR day and it is so important that however much you listen to advice from family and friends that you ensure that you do what you want. This couple did exactly that and it worked our perfect with all family and friends.